Looking for something different and awesome to do? Livermore Downtown Inc. presents a new kind of fun, competitive tournament: Kickin’ It with LDI Foot Golf Tournament. 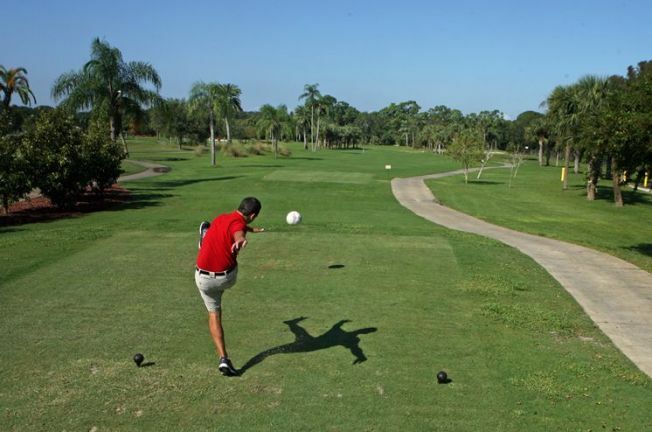 You might be asking what is Foot Golf? It’s a rapidly growing new sport across the globe where you kick the ball instead of using a club and use a soccer ball instead of a golf ball. Las Positas Golf Course has officially dedicated a nine hole course for the tournament. You can enter the tournament as a single player or on a team of four players. After the tournament, there will be an Awards Dinner at Beeb’s Sports Bar in their Banquet Room. Proceeds from this tournament are going towards the 2015 4th of July Fireworks event and the Downtown Restaurant Association Training and Marketing Fund.